Our experienced design-build team can provide geotechnical characterization, analysis and design. We often act as the Geotechnical Design Manager on design-build projects, and work closely with design teams on site. 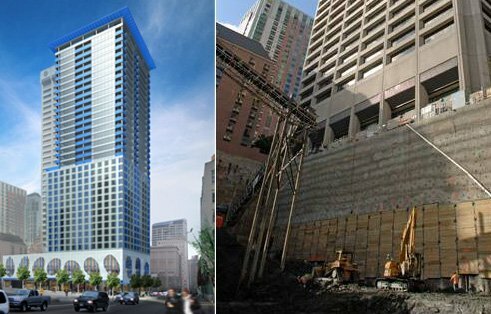 Our award-winning shoring designs include soil nail walls like this one, and unconventional solutions when traditional methods are not adequate. 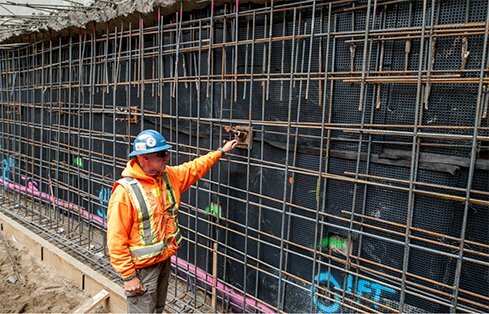 Geotechnical engineering and design form the literal foundation of every built structure, making an experienced geotechnical firm critically important to project success. We have decades of experience interpreting the complex interactions between soil, rock and built structures. 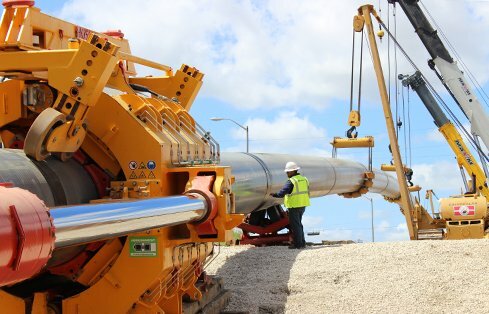 We are known for our broad expertise in geotechnical work, including specialization in seismic designs in soft soil, performance-based engineering approaches and trenchless pipeline crossings. 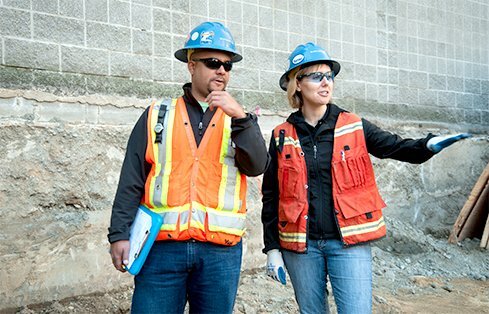 Our engineers design ground-improvement programs, building foundations in unstable soils, drilled-shaft foundations for highway overpasses, innovative shoring for deep excavations, and so much more.